Some people are born with a mission. When you are given the name Freedom, it is not too difficult to imagine that a child might grow up to serve his country. Maj. Freedom Carlson served 18 years in the U.S. Marine Corps. An AV-8B Harrier pilot and flight instructor, Carlson flew missions from amphibious aircraft carriers with Marine Expeditionary Units (MEU). He had three tours of duty in Iraq, Afghanistan and the Arabian Gulf, and helped to enforce a no-fly zone over Libya in 2011. These days, Freedom Carlson still flies, now for Southwest Airlines, and he’s added a new assignment to his long list of achievements - entrepreneur. In May, Carlson became the owner of an Elements Massage™ studio in Westminster, Colo., and is using the lessons he learned in the military to bring leadership, discipline and vision to his new studio. Like many vets coming out of service, Carlson used his military training and skills to land a job with an airline. While he could have pursued many different paths, business ownership appealed to him more than other options. Carlson worked with a franchise consultant to determine which business model fit his goals. 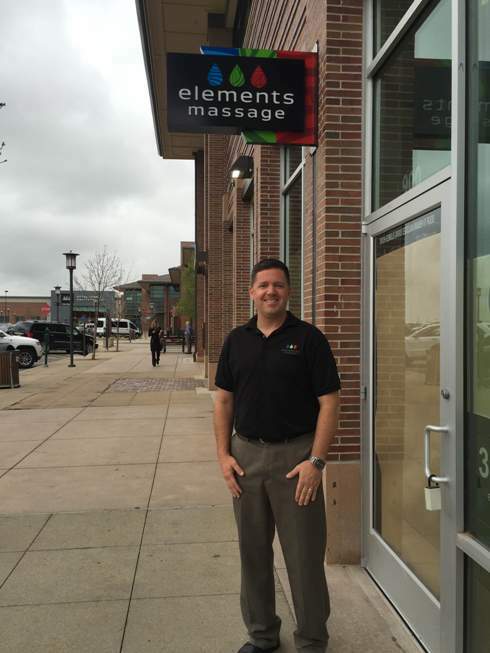 There are many organizations available to help vets, and in Carlson’s case, he was supported with help from the Small Business Administration and his franchisor, Elements Therapeutic Massage, LLC, which offered a veteran’s discount on his franchise fee. “Memorial Day is a day to reflect on the lives of those who paid the ultimate price for our freedom in this country. It is a day to remember their sacrifices and to glean a renewed appreciation for the freedoms we’ve come to take for granted in the daily hustle of our own lives. “It is a day to reflect on the meaning of America and if our beacon of hope across the world still shines. It is a day to reconsider our own personal example as we walk our streets, and it is a day to compare our values to those who did pay the ultimate price.